No Easter celebration in Argentina can be considered complete without a rosca de Pascua and some colorful chocolate Easter eggs. Easily the most popular baked good at Easter, the rosca de Pascua, a decorated, ring-shaped loaf of bread, appears in bakeries and corner stores all over the country during Semana Santa (Holy Week). 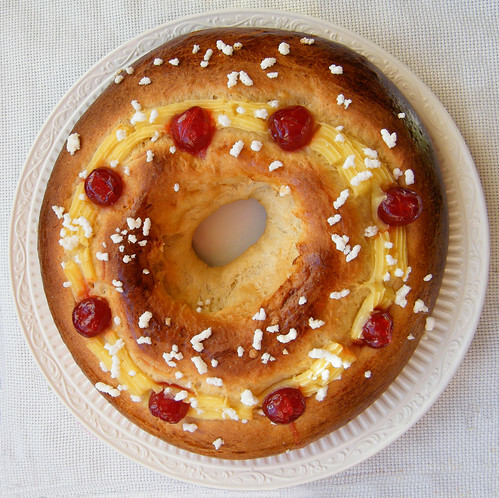 Meant to symbolize eternal life, Easter bread rings form part of the baking tradition of many countries, but the classic toppings of pastry cream, candied cherries and pearl sugar set the Argentine version apart from the rest. Lightly sweet and scented with vanilla, this tender yeast bread pairs perfectly with mate or a cup of coffee. If the rosca de Pascua strikes a familiar chord with you, I can explain why. The bread ring prepared during Holy Week is virtually identical to the rosca de Reyes that is eaten during the celebration of the Epiphany, just after Christmas. The two breads occasionally differ in terms of their presentation (some bakers insert eggs—either chocolate or the real thing— in the rosca de Pascua), but for the most part, the recipes are one and the same. 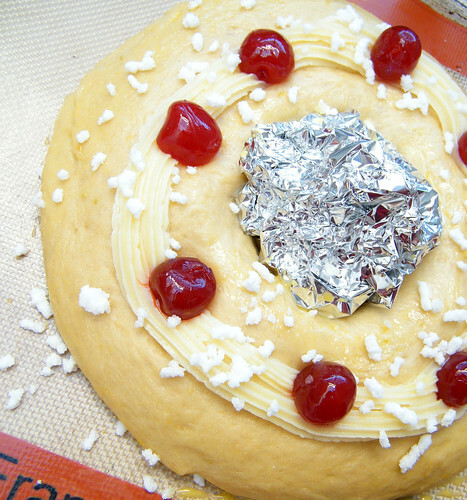 Click here for the recipe for Rosca de Pascua | Easter Bread Ring.